How to download Livestream streaming videos on Windows or Mac? Download or record streaming videos from Livestream to any format you like, such as downloading livestream to MP4, AVI, WMV, MOV, MKV, etc. Trying to download streaming videos from Livestream? Is there any easy-to-use tool to download Livestream video to hard drive, mobile phones or tablets? How to capture live events from Livestream or other sites? It is easy to download one copy of your own event from Event page by clicking on the gear icon. However, how to download other streaming videos from Livestream? This guide will show you the best solution - Bigasoft Video Downloader Pro. Acting as a wonderful live streaming video platform, Livestream allows users to broadcast live video streaming of event. Besides, we can enjoy multiple helpful video events broadcasted by other users, like live concerts, training sessions, football game, speeches or any other videos. Sometimes, we may want to download the streaming videos to playback offline to avoid slow Internet connection. 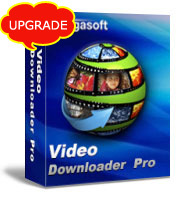 Bigasoft Video Downloader Pro is a streaming downloader of the top rank. It helps to download Livestream video to MP4, MKV, FLV, AVI, WMV, MOV or compatible formats for portable devices, such as iPhone, iPad, Smart phones or tablets. To download streaming videos from Livestream, just follow the steps below. 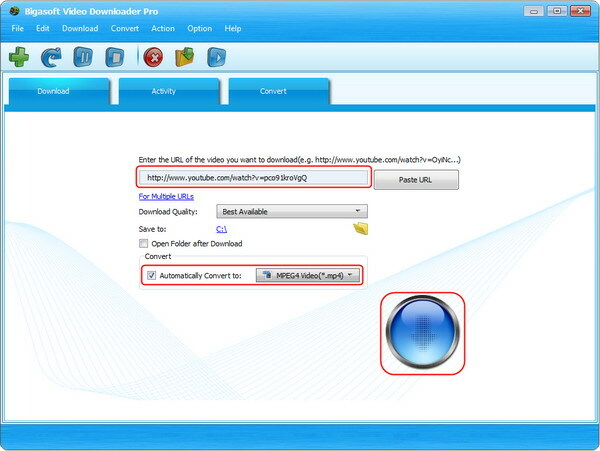 Firstly, download and install the latest version of Bigasoft Video Downloader Pro. There are two different versions for Windows and Mac users separately. And the two versions are fully compatible with the latest OS, including Windows 10, Mac OS X 10.10. Go to livestream.com and find the video you want to download, and then copy the URL of that video. Then go back to the download panel of Bigasoft Video Downloader. The link address will be automatically pasted to the URL box. Click "Save Folder" button to choose the destination folder for the downloaded Livestream video. If you prefer to convert the video to any other formats you like, please click the small triangle to the right of the "Automatically Convert to", a drop down menu will pop up, select the desired video or audio format. Click the "Download" button to start and finish downloading. After it is completed, click the "Save to:" destination folder link to open the "Convert" folder to find the downloaded/converted Livestream video. Besides Livestream, Bigasoft Video Downloader Pro supports downloading videos from more than 100 popular video sharing sites including YouTube (VEVO channel, 1080P HD and 4K video), Dailymotion, Vimeo, Goear music, Metacafe, Break, Veoh, BBC, 123Video, IGN Game Video, VideoBash, AOL Video, NBC, CBS, FunnyOrDie NFL, CollegeHumor and more. What's more, if you prefer to capture live events, please open this guide to find "How to record streaming videos".